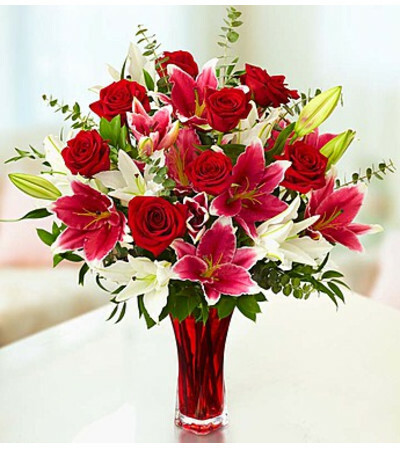 This romantic bouquet will get you more than a kiss on the cheek! 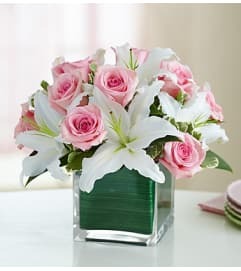 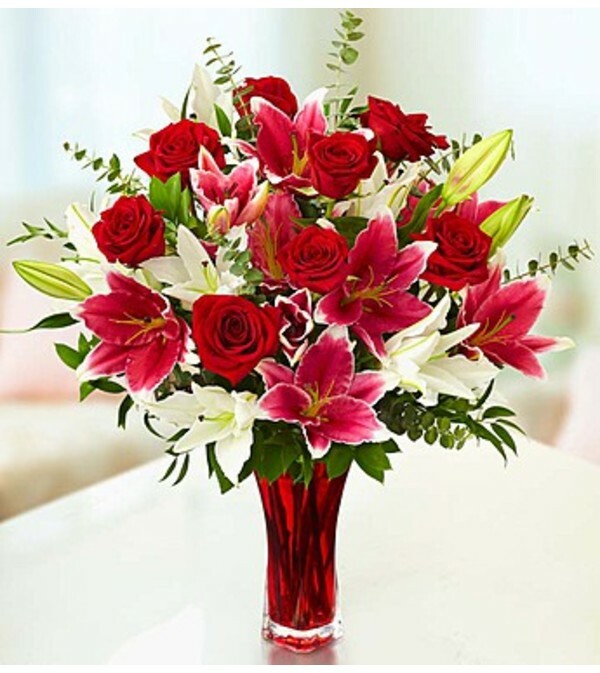 Both lush and luxurious, it features classic red roses, popular pink & white Stargazer lilies and unique spiral eucalyptus, all in a sleek red glass vase with a clear footed bottom. 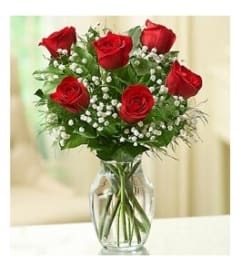 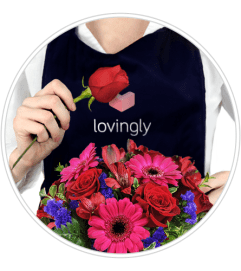 Not just for saying, “I love you,” it’s a gift that helps you express whatever’s on your mind, whether it’s for a romantic occasion or just because.